DESCRIPTION: Archaeology has developed to unlock the lost mysteries of the past and it may come as a surprise to some readers to find it applied to military conflict during the last hundred years. With the millions of photographs, thousands of miles of film, and recorded interviews to audio and video with veterans, it might seem that this vast storehouse of knowledge, coupled to letters and reports from the time, there is little need or scope for field digs by archaeologists. The authors very ably demonstrate how and why archaeological study of the recent past is so important and rewarding. It is very easy to think that the Western Front was a static line of trenches, but this was very far from the truth. Trenches were first dug by soldiers as little more than linked foxholes and shallow trenches, as machine guns limited movement and demanded basic cover. From that point, trench technology rapidly developed into defence in depth, with fighting trenches, communications trenches, command bunkers, underground hospitals, magazines, store rooms, and a considerable road and rail network linking the front line back through its supply chain, and many miles back from the fighting trenches. Artillery was also deployed in stages back from the front with mobile batteries and heavy weapons, some of the latter being mounted on rail wagons. As progressively heavier weapons and gas came to be deployed, the trenches had to go deeper and be equipped with devices to keep out the gas. There were also miners digging saps towards the enemy and digging counter saps to intercept enemy saps. Although great advances were impractical, raids were made on enemy trenches and modest advances absorbed enemy trenches into their opposing trench structure. Some of the mines under enemy trenches were so large that they completely changed the landscape when they were detonated. The mud swallowed men and equipment. The mines totally destroyed major fortifications. Then in the years after the war, farmers moved back and tried to bring the land under cultivation once more, returning parts of the lunar landscape back into the farm land it had previously been. That obliterated features of war in some places, but forgotten munitions are still turned up by the plough, together with human bones and personal equipment. Hiding below the surface are highly dangerous mines that were never detonated. The result is that even with the mass of recorded information in files, photographs, films and interviews there is a great deal that has been lost. Even the huge underground mines, filled with explosives, are inadequately recorded and are still vulnerable to lightning strikes. Some were made safe, but others were considered in 1918 to be in such a dangerous condition they must be left alone and what records once existed have now been lost. There are unrecorded burial sites and tons of munitions continue to emerge from the soil in lethal condition. 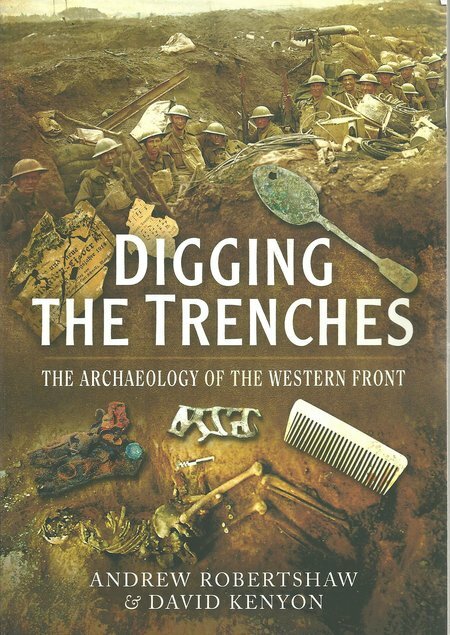 Into this great mystery, archaeology offers the opportunity to fill the many holes in our knowledge of the Western Front of 1914-1918. The authors have provided details of technology and methods employed to uncover the recent past and the battlefields of WWI on the Western Front. The trowel and brush continue to be staple tools of archaeology, but ground penetrating radar, aerial photography, green laser scanning, ultra sound scanning and computer modelling now provide powerful tools that also build digital records for future reference. Once remains and artefacts have been recovered, an impressive armoury of forensic equipment can be used to speed the processes of evaluation and recording. As time goes by, that technical capability will continue to develop and allow some material, excavated in past years, to reveal new information.